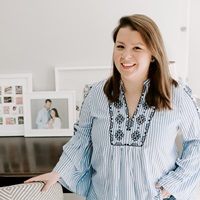 When it comes to planning a bridal shower, it’s the little extra details that make all the difference in creating a special experience. 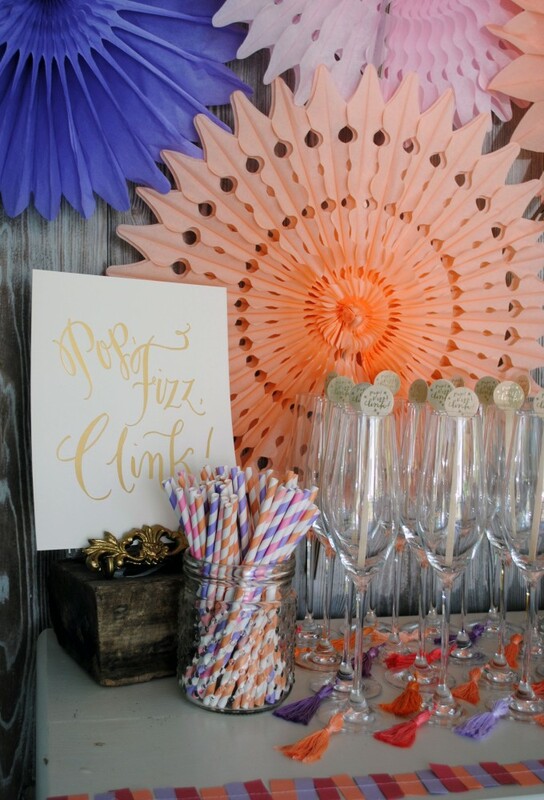 When my fellow bridesmaids landed on a mimosa bar for the shower, I decided it would be fun to jazz up the rented champagne flutes with a little extra flair. 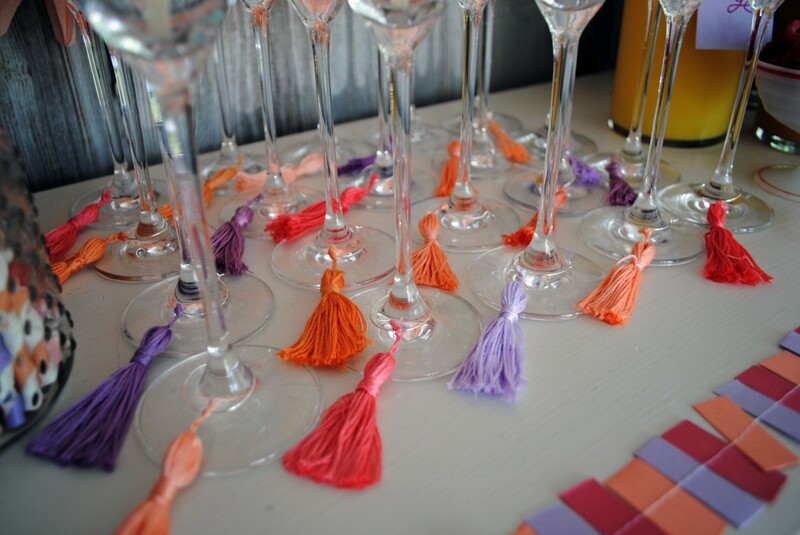 Using embroidery floss and an easy-to-find tutorial from Pinterest, I made tassels in coordinating corals, peaches, and lilacs. Using wine charm findings I attached the tassels with an extra piece of embroidery floss. 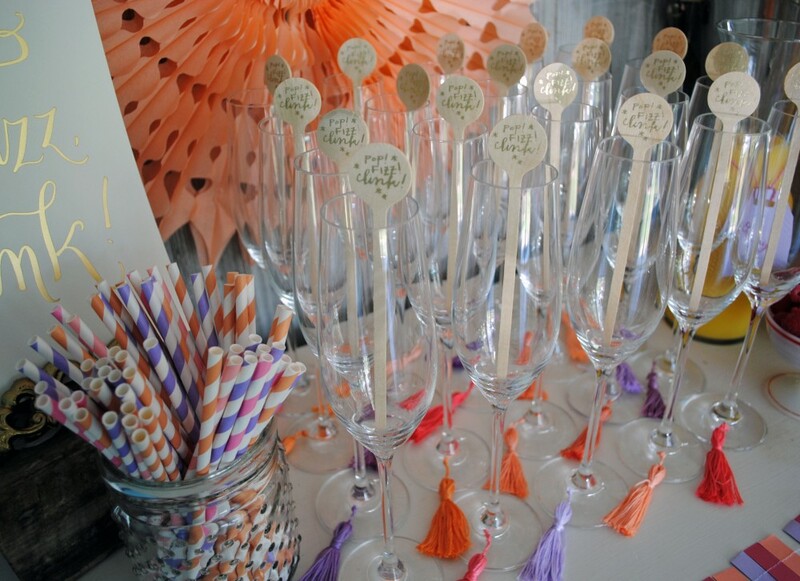 The result was a bright pop of festive color on the champagne flutes, and an easy way for guests to locate their drinks! Modern Geometric Bridal Shower. 12 Hours in Provincetown. 2 Responses to "Tassel Wine Charms." you always seem to know how to take an idea and make it truly your own. love this!